The kitchen is the often the center of the home, and if yours doesn’t have the counter space, storage, or style you want, we can help. 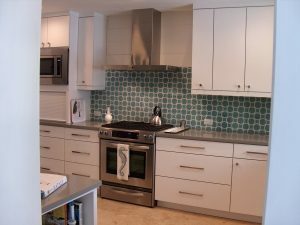 Whether you’re looking to transform your kitchen into a cozy and comfortable but efficient workspace or if you’re looking for a contemporary kitchen that is the center of the home, Silver Palm Custom Homes & Remodeling is the kitchen remodeling company to call. Our team of dedicated, professional contractors can make your kitchen work for you. If you’re not sure what you want your new kitchen to look like, let us come into your home, talk about your lifestyle, family, and needs. We have done kitchen renovations where we’ve created a gourmet cooking space for the empty nesters that have discovered they can cook and eat anything now that the picky eaters have left. We have also helped families with kids who realize the storage space isn’t sufficient for all those cereals and snacks, sports bottles, and the things you really need in a kitchen. You shouldn’t have to go to your garage to get your crock pot or need a countertop convection oven to cook your meals. Let us help you design a space that has everything you need, where it belongs, in the kitchen. Simply Time for an Upgrade? Because the kitchen is one of the most used rooms in the home, cabinets, flooring, and appliance can look dated and worn out sooner than other parts of the home. We also have seen many homes where the builder used low quality cabinets and fixtures that are now in need of replacement. 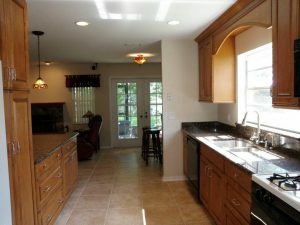 Silver Palm Custom Homes & Remodeling can work with you to bring your dated kitchen into the modern era. 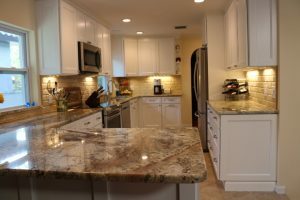 Some popular requests we hear are for granite or quartz countertops with tile backsplashes, double wall ovens complemented by cabinet depth refrigerators, and real wood cabinets. When you are considering a whole kitchen renovation in your home, the options are nearly limitless. Our CotY award winning designers will work with you to make your kitchen the centerpiece of the home that you’ve always wanted. Call us today to schedule your initial consultation (727) 420-6693.